International Projects. VidCom is headquartered in Vancouver, Canada. We have been operating in Western Canada for over 30 years, however in the past 6 years VidCom has been servicing customers throughout Canada & across the globe. This has largely been possible due to our reputation of selling quality products & services. Most of our international business has primarily been referred to us either by a customer who has enjoyed doing business with us or through a manufacturer whose products and services required advanced skill sets to implement. VidCom has implemented a wide variety of solutions world-wide, including file based Post Production, Encoding & Streaming, Shared Storage & Asset Management, Mobile Carts & Trailers. Our quality of work has taken us across the globe to from the America’s to the Far East & Indian Subcontinent. We possess full import & export licenses. 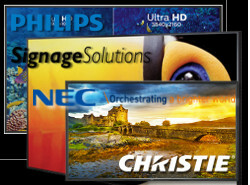 We can design, install & support any professional video solution anywhere in the world. Our engineers design, pre-configure & test systems off-site, then we offer final installation, commissioning & training on-site. Once we provide the initial training, we continue to support the products remotely as systems go through periodical software & hardware updates. We can dial into any system anywhere in the world to trouble shoot and rectify issues that might occur post-installation. We are extremely flexible working with customers in different time zones at their convenience. Time & again our International customers have commended us for our work and we continue to enjoy their loyalty.